Same sale last month. I bought this gloves £1.00. New Look gloves, hats and scarfs from £1. C&C free over £20, otherwise + £2.99. More included in post. If you spent £19.99 and over, you qualify for free standard delivery till midnight. Doesn’t work for me either. It shows the code applying but doesn’t amend the price! Working for anyone in sale? Tried adding a few things. Accepts code but nothing taken off. New Look - pair of woven baskets. Reduced from £24.99 to £10 in store. Two lovely woven baskets from New Look. Use as storage baskets or maybe pop a plant in them. 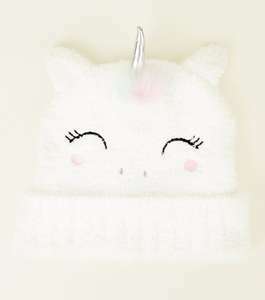 i got this the other day love it! I'm pleased for you, genuinely :) But, but...why do New Look charge for delivery? I feel they're a bit behind with the times, lol. Mind you, do e.g River Island? Some shops do, some don't. What's DPD please, Dorothy Perkins?! Ooh! Thanks very much this is a super deal! I just love the Sloth mug it’s so cute. Thanks very much for sharing. Girls. Add this cosy jumper to your autumn/winter edit. Wear with jeans and boots to complement. All ladies and 915 sale boots now £10 and under until 6th march! Is this in store as well? Thanks for posting op. Thanks. Ordered 2 pairs and get free C&amp;C.
Strut into the new season with these blue suedette shoe boots. No worries! (y) If you click on the "VC Exclusives" tab on their homepage and look out for the offers that say "Get Reward", those will be the once where you will get a giftcard/voucher. And they have had this thing running for ages called "Windfall Wednesday" where a new reward offer appears at 11am every Wednesday (and is only live for a few hours and/or until all rewards have been claimed). However they're taking a break with the Windfall offers at the moment, since a couple of weeks back, but the site says it will be back in the spring, so fingers crossed. :) I've had some good rewards from the Windfall Wednesdays, like £20 Argos or Costa vouchers when I've done a £40 Asda/Sainsburys food shop, £20 Amazon voucher when I've spent £40 on perfume sites, £15 M&amp;S voucher when I've spent £20 at Holland&amp;Barrett etc. So definitely a nice freebie if you were going to buy something from a certain site anyway! Lots of offers that I have not been interested in though, but I guess they'll have something for everyone at some point. Hey thanks for this ill sign up! Do voucher codes provide cash back as well then? Does it come in Men’s sizes? Gotta spend £20 or even the click and collect option has a fee! I've had my fill of funnel necks. Used to be a size 4 but let myself go! Heat added. The first New Look fashion store was launched in 1969 in Taunton, Somerset. Its focus on fast fashion led to a period of steady expansion over the next 40 years, with more than 550 New Look outlets opening in the UK alone. Over 250 stores are now trading in Asia, China and other parts of Europe. New Look shops are on many UK high streets, but you can also shop for their products on the www.newlook.com website. To locate a branch near you, simply click the Stores button on their website and use the locator to search by country and postcode. On the site, the range of products on offer has been divided up into eight different collections. New In – This section is separated into three subsections, Womens clothes, Mens clothing and Teens; each has a choice of clothing and accessories that have just arrived in store or online. Womens – From dresses, to swimwear, bags and shoes, this category has everything you could need to create a complete wardrobe. You can choose to shop by fit, like petite, tall or curvy, by occasion, or by department. Shoes and Accessories – Included in this category are women’s shoes, boots, bags and jewellery, plus accessories like hats and sunglasses. They also have items for the home. Maternity – Here you can find jeans, dresses, separates, underwear and nightwear to fit through each stage of pregnancy. You can shop by the size you were pre-pregnancy, with sizes ranging from 8-20. Plus Size – The Inspire range of plus sized clothing caters for women’s sizes 18-32. It features a large selection of fashion clothing from knitwear to playsuits, coats, lingerie, dresses and separates. Mens – This section contains all the male focused clothing and accessories offered by New Look. They have tailored suits, holiday wear and work wear. You can shop by the type of clothing you’d like, by collection, or by occasion. Teens – The teen’s section contains clothing for girls aged between 7 and 15 years old. There is a separate collection of clothes for 7-12 year olds. Choose from kimonos, separates, nightwear, party clothes and logo t-shirts. 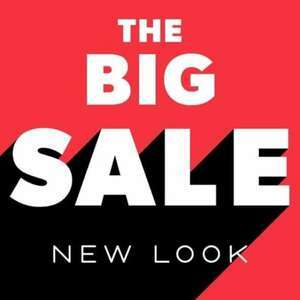 You can click on the Sale section of the New Look website for a range of reductions and discounts on its current lines and seasonal collections. New Look is an enthusiastic participant in Black Friday and Cyber Monday; during each of these events the brand cut prices by up to 60% on certain lines. As part of Black Friday it has previously given away free gift cards to shoppers spending a certain amount at New Look. At other times of the year the store offers discounts for people shopping via their mobile app and for students, and more general deals are provided through magazine promo codes or its newsletter. The Sale category in the online shop has reduced lines from across every New Look collection, you can save up to 60% off the full retail price of many items. When you place an order at newlook.com you’ll be given the option to continue with the transaction as a guest with the possibility of creating an account later, or sign in to your existing account. New Look features a store card that works like a credit card, but also gives people who sign up a range of benefits, like a loyalty card. You are entitled to a discount off your second order, have 55 days interest free credit, and are invited to exclusive events and pamper sessions. You can apply for the card directly on the website. New Look accepts PayPal payments, along with New Look store cards, New Look Gift Cards, Visa Electron, Visa, MasterCard, American Express, Switch and Maestro. Next Day delivery is available Monday to Saturday from 8am until 6pm; you’ll need to order by 20:00. It costs £5.99 or is free for orders over £75. Next Day Evening delivery between 6pm and 10pm, it costs £7.99 or is free if you spend over £75. If you’d like to Choose Your Day, the package will arrive on the day you select between 8am and 6pm. If you spend £75 or more it’s free, or £5.99 otherwise. Choose Your Evening for delivery if you’d like the package to arrive between 6pm and 10pm, this option costs £7.99 or is free for orders over £75. For a Sunday delivery, between 8am and 6pm it costs £5.99, but is free if you spend £75. Standard delivery is 2-4 working days; it’s free for orders over £45, but £3.99 otherwise. New Look charges £3.99 for BFPO and Channel Island deliveries, but both are free for orders over £45. If you spend over £19.99 collection is free from certain New Look stores, you will be sent an email or SMS message when the package is ready to be picked up. Fill in the dispatch note that came with your order. Repackage the items and include the dispatch note. Ask the Post Office for a proof of postage slip in case it is lost in transit. Once the items are received by New Look it will refund you using your original payment method. If you’d prefer to exchange an item, this can be done in store. On its daily blog, New Look has articles and content focusing on celebrities, seasonal fashions and classic looks. You can also sign up to receive the New Look newsletter, which provides updates on new collections, reductions and the chance to win free clothing for a year. 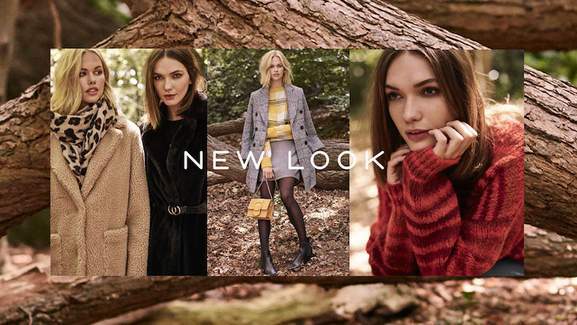 New Look has a shopping app for both iOS (Download for iOS) and Android (Download for Android) devices, you can log in to browse the latest collections, be inspired by a celebrity style section or shop their full range of clothing, shoes and accessories. There’s also a helpful store finder, promotions that are specific to app shoppers and the chance to opt in to push-notifications. The customer services department is available Monday to Saturday from 8am to 8pm and Sundays from 10am to 18pm. If you’d prefer to search for an answer yourself, there is an extensive Help Centre page. hotukdeals hunts down every offer provided by New Look and then collects them on a page that’s dedicated to the brand.